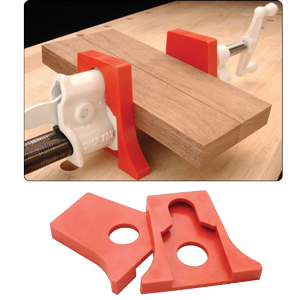 This Veneer Press Clamp is used to make custom veneering frames and other clamping fixtures by simply drilling a hole in the frame material to accept the threaded bushing. 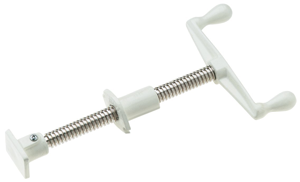 Double handle design produces greater torque and heavy-duty Acme threads ensure smooth operation. Removable swivel makes installation quick and easy. Overall length is 11 1/2". This 15’ Band Clamp applies even clamping pressure all the way around difficult-to-clamp items, such as octagons, circles and so on. 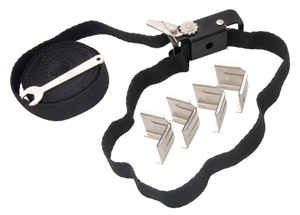 One inch wide nylon webbing and ratchet mechanism applies plenty of clamping pressure.